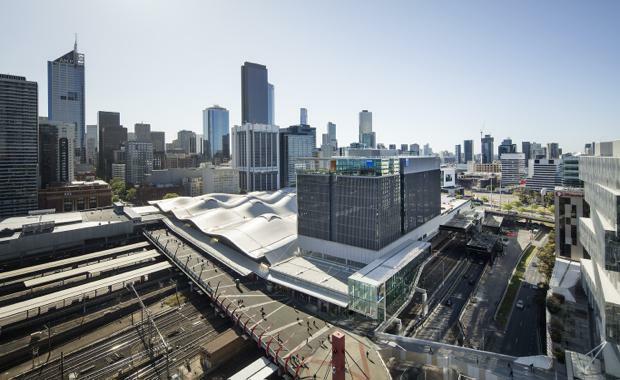 A new commercial building located over the Southern Cross Station in Melbourne is turning commuters' heads. 699 Bourke Street is the first commercial building to be designed by Grimshaw in Melbourne. Situated above the rail environment of Southern Cross Station, the building is the new Victorian office for AGL Energy Limited and its 1500 employees.